The L Family: Love working with this sweet family! Our time together started with Landrey's pretty mama's Maternity Session... which just so happened to be THE DAY BEFORE Landrey decided to arrive. Good timing, huh? 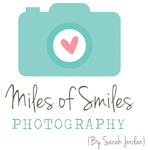 Click here for a peek into our Maternity and Newborn Session... so cute! This Mama emailed me recently, letting me know that she received some sad news about one of her sweet dog's health, and we knew that a Lifestyle Session in their beautiful home would be the perfect way to capture their family of 3 and 2 fur-babies together. I love how these turned out! Enjoy a peek into our Lifestyle Session with the L Family.